While never being the biggest Big Thief fan, I’ve always known there was something special about them. I heard it most in their quietest, most intimate moments; moreso than any of their rockers. 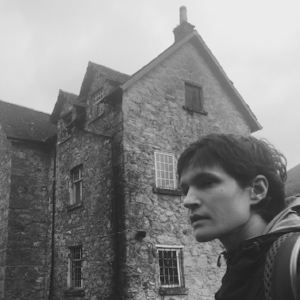 That might explain, then, why frontperson Adrianne Lenker’s debut – which is almost painfully intimate and quiet – is my favorite BT-related thing I’ve yet heard, by a mile. Its soft power stems both from Lenker’s lo-fi and minimal pallet, as well as her hushed, beautiful voice. Above all, though, is her songwriting and melodies, which worm their ways into your mind but are laced with intriguing, abstract lyricism that moves and mystifies at the same time. Alela Diane is truly one of the unsung figures of the American singer-songwriter scene. Or maybe I should say “under-sung.” She has plenty of fans and critical acclaim, and yet her albums never seem to make the waves they ought to be making. Perhaps that’s due to her relatively tame sound, but Diane is such a fine songwriter, a subtle miner of human emotion so deft that you hardly notice how powerful what it is she’s doing until it’s already been done. Check her hypnotic “Emigre,” the profoundly sad “Song for Sandy,” or the First Aid Kit-featuring “Ether and Wood,” which is undoubtedly one of her finest songs to date. If you’re looking for a high-quality, pretty, and smart singer-songwriter album, you can’t go wrong with Cusp. If you, like me, first fell in love with Anna von Hausswolff when her single “Track of Time” was released in 2010, then you must also be constantly surprised at the direction she’s taken since then. While that was a staggering, piercingly gorgeous piano ballad, von Hausswolff’s music quite swiftly took a turn for the metallic, the doomed, and the dramatic. 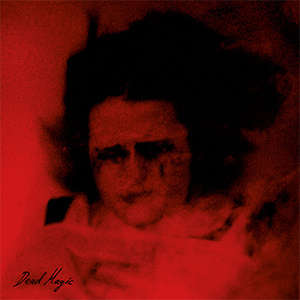 Her fourth album, Dead Magic, doubles down on that, giving us beefy, strong storms of songs, which sound more conjured than composed. Her voice remains a towering highlight, beaming above the din, but her chaos comes with great purpose, and each minute of this five-song album begs to be delved into. Let it cast its spell on you. Let it envelop you. Beach House’s self-titled debut remains a favorite album of mine. I am fully aware it is probably not their best on any sort of technical level, but it came out at a very certain time in my life, and it eternally glued me to this dreamy little duo. Or so I thought. Their two-album stint of Depression Cherry and Thank Your Lucky Stars really made me think that they lost me, or I lost them. It felt like the wheels were spinning, and the glory was fading. But 7 reaffirms what I always loved about the band, while also finally adding some much-needed tweaks to their formula. This, for once, does not sound like the exact same band that began by giving us those lo-fi autumnal tunes all those years ago. And yet, it makes perfect sense that this is a Beach House record. It’s beautiful, lush, weird, and their best record since Teen Dream. Here’s to hoping the innovation and curiosity continues. 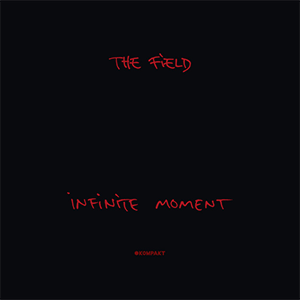 For some reason, this album from The Field – his 6th since 2007 – finally got me. I’ve always been vaguely interested in The Field’s work, as he creates elongated pieces of repetitive, experimental electronic music. His are not average songs, as they beat and pulsate into oblivion, changing so subtly and slowly you barely notice. This is the first album of his since his debut, though, that has held my ear and my head the whole way through. Parts of this album approach a sort of ambient effect, droning on and on ad infinitum, until I’m dizzied and lost, in the best way. The notable addition of vocal layers goes a long way in spicing up The Field’s sound, and combined with the beautiful, fizzy loops, makes this possibly his best album. Liz Harris’s work under the Grouper name has captivated me for years, ever since her impeccable Dragging a Dead Deer Up a Hill was released. 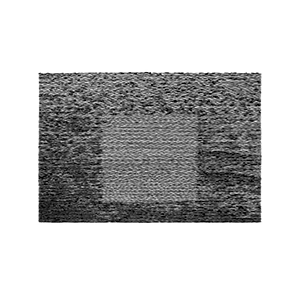 Her 2014 album, Ruins, saw her strip almost everything away that was previously part of the Grouper aesthetic – gone were the echo–drenched guitars, and the woozy Wurlitzer, and the seemingly thousand layers of voice. But what we were left with was really a perfect distillation of Harris’s work: a minimalistic arrangement of voice and piano, soaked with just enough reverb. Her lyrics became more intelligible than ever, and her songs more emotionally crushing than ever. Grid of Points sees Harris returning to this setup, and while the results may be less astonishing the second time around, there’s still plenty to love. Some of the mystery creeps back in here, but the songs are just as moving and deceptively simple, and Harris’s voice and melodies still bring me near to tears. 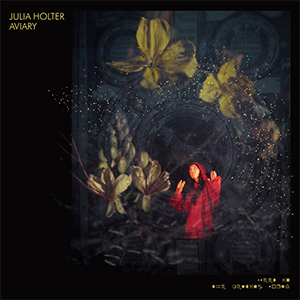 Julia Holter returns with what is probably her most experimental album, the one she seems to have been hinting at all along. Her first two records toyed with experimental structures and sounds, combining them with just enough pop appeal. Then her next two went fully into the art-pop realm, with incredible results (“Betsy on the Roof”, a piano ballad from Have You In My Wilderness, is still the finest achievement of her career). But now, the composer extraordinaire has essentially outdone herself. Holter has dared herself and her listeners to go headlong into this bizarre, abstract world of hers, and it is delightful, scary, and entrancing. This may be the finest example yet of Holter as composer, so even if it isn’t the absolute best example of Holter as pop songwriter, so be it. Just jump in and get lost in the maze that is Aviary. 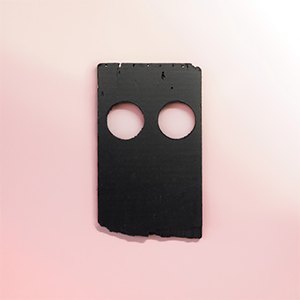 No matter how you feel about this new Low album, you’ve gotta hand it to the now 25-year-old band for creating something truly unlike anything else in their catalog, yet still very much has the sound of a Low album. Easily their most experimental album, and their least accessible since 1996’s The Curtain Hits the Cast, Double Negative surrounds the listener in static, harsh noises, metallic scrapes, crunched up bass and guitars, and brittle percussion. It’s an album full of surprising and austere compositions, with Alan Sparhawk’s and Mimi Parker’s signature voices cloaked in distortion, peeking out every now and then, like sun rays from behind a dark cloud. It’s not all a maelstrom of odd and abrasive soundplay – “Fly” is gorgeous and direct, while “Always Up” includes some of their indelible harmonies in clear display – but most of this album is a hall of mirrors, a storm worth flying into. I’ve been a Laura Marling fan for a long time, but even though I really enjoyed her last album, I was wondering if she would ever try something a little more radical, or take a serious departure to shake up her sound. While that remains to be seen in her solo work, LUMP – a duo album with Mike Lindsay (of the weirdo-pop group Tunng) – delivers just that. Lindsay handles the music while Marling handles the lyrics, melodies, and vocals. The album is rather short, at just 7 tracks long (including a brief, but funny closing bit of narration), but it packs some interesting punches. It is such a nice treat to hear Marling write some weirder, more impressionistic lyrics, while also pushing her voice into some newer territories. Meanwhile, Lindsay’s compositions, full of strange beats, sounds, unidentifiable instruments, and intriguing left turns, combine with Marling’s beautiful voice to create something truly bewitching and entertaining. This album almost feels like the opposite to Low’s. 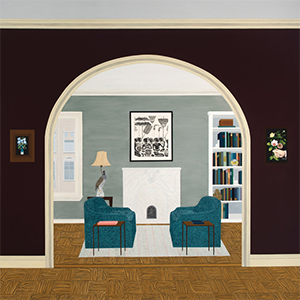 While theirs is a brutal hurricane of dizzying noise, Mary Lattimore’s Hundreds of Days is blissful and beautiful, full of gorgeous melodies. Lattimore is a profoundly skilled and renowned harpist, who enjoys tinkering with the limits of her instrument, whether through the knotty compositions themselves or through an array of effects, particularly delay. Seeing her spin her webs live is magical, but it has translated wonderfully on this new album. While songs like “Hello from the Edge of Earth” are heavenly, others like “Baltic Birch” are fantastical but lightly foreboding, and “Never Saw Him Again” engages in some very naturalistic, expansive ambient soundscapes. The harp often gets pigeonholed as being just pretty, and while Lattimore’s often is, it is also so much more complex than that. Her skills as an arranger match her skills as a harpist, and the two combine to create a transportive record. 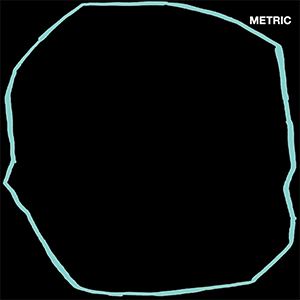 After a slight misstep with 2015’s Pagans in Vegas, Metric are back in the rock game with the far superior Art of Doubt. Easily their best record since Live it Out, the band give us a very solid set of slick, blistering rock and pop tunes. The synths are still here, but the guitars have come chugging back, as evidenced by the first three tracks. Meanwhile, they’ve given us some truly glowing pop epics, like “Now or Never Now,” and some surprisingly edgy, harder songs, like the incredible title track. They also remind us how good they are at the softer cuts with “Seven Rules” (which reminds quite heavily of their earliest material, like “White Gold”). Metric are very much in their wheelhouse here, and though the very last leg of the album falls off just a bit, the songwriting overall and the reinvigorated performances are enough to make this one of their strongest albums in a very long time. Mount Eerie’s A Crow Looked at Me was on my top albums list last year, and here he is again. 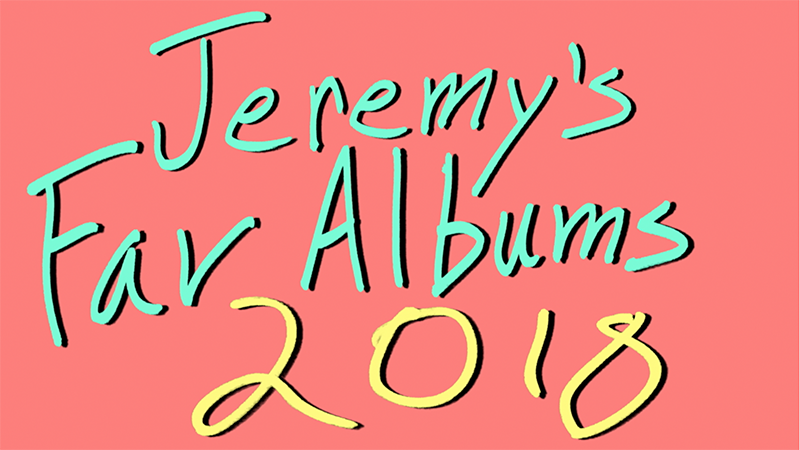 Not for his other 2018 album, Now Only, which is very good in its own right, but for his quietly released live album, (after). Hearing these unbelievably personal songs sung out into the world in front of an audience of strangers is sort of heart-stopping in its power. Phil Elverum performs them beautifully, and the sound quality is exquisite. The songs were plenty stripped-down in the first place (especially the Crow songs), so there are not a ton of changes to be found. The main point of interest is simply in hearing these detailed, lovely, deeply sad songs played live. The audience’s hushed respect for the performer is palpable, and by the end of the night, they weren’t strangers anymore. Definitely worth checking out if you’re a fan of either of his previous two albums. 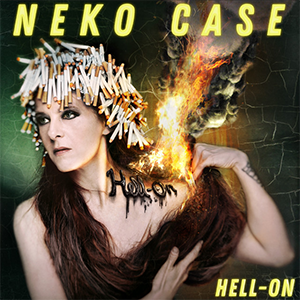 With a discography as long and layered as Neko Case’s, it’s impressive that Hell-On, her seventh album, is her finest achievement yet. Working with longer songs than usual, Case affords herself the time and space to really flesh out her skills as a songwriter. The songs here are denser than many of her songs in the past, as Case dresses them up in dreamy layers of guitar, drums, synth, pianos, and many voices. Some songs, like “The Last Lion of Albion” are snappy and catchy. Others like the “Halls of Sarah” are luminous and melancholic. Some, like “My Uncle’s Navy”, are downright terrifying. Case is a master lyricist, with every song consisting of a myriad of intriguing, surprising lines, such as “Winnie”’s “Loved you so long, Winnie / Blurring softly into you.” Even her cover of Eric Bachmann’s “Sleep All Summer” (with the man himself in a duet with Case) goes off without a hitch. This is Case’s lushest album yet, and it provides the listener with countless moments of beauty, drama, and heart. Trevor Powers’s last album as Youth Lagoon, Savage Hills Ballroom, was, for me, his finest yet. A crystallization of everything YL had been up then. It also includes at least one absolutely perfect, stunning song, in “Kerry”. Now, dropping the YL name and donning his own, Powers is back with his strangest document yet. Mulberry Violence is constantly shifting, as Powers experiments with interesting, left-field sound play, never going where you expect. His signature voice is still there, but very often it is cloaked in effects, or pitch-shifted, or distorted. This is not a typical singer-songwriter album. This is perhaps Powers’s most personal and also most alien record yet, which somehow feels exactly right. It is at turns beautiful and hideous, straightforward and complex. It draws you in in a very strange way, letting you bask in its foreboding light. The dream pop of YL is gone. 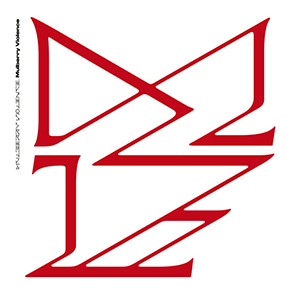 The horrific electronic-noise-pop-whateveryouwanttocallit of Trevor Powers is here. Meghan Remy’s U.S. Girls honestly never caught my attention much. But that all changed this year with the release of the project’s seventh album, In a Poem Unlimited. Don’t let the odd title fool you: this is mostly an album of catchy, groovy, polished pop songs. They are total pop perfection most of the time, while sitting just slightly in left field. One of the most sonically straightforward cuts, “M.A.H.”, is also one of its best, as it highlights with profound wit and charm a very important political conversation that is not had very often to my knowledge. Other songs, like the most meditative “Rosebud” and the ‘90s-ish “Pearly Gates,” make this one of the most varied but also irresistible pop albums of the year. Every time you listen to it, you find out something new about it. What a luxury that is.